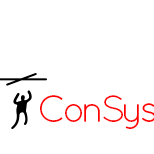 Company "Systems of Control-CONSYS" is the official production and commercial representative of the British company ORSCHELN EUROPE. We have qualified personnel for the design and production of control systems, have intellectual property rights to the products manufactured by us as well as full set of required technologies and equipment, providing the opportunity of serial and individual production of different control systems for the needs of as assembly plants, and for individuals. Our customers are the various vehicles, building construction, machine tools and medicine. GROUND: trucks, buses, tractors, combines, railway, subway, road machinery, drilling machinery, communal machinery, military equipment. WATER TRANSPORT: ships, yachts, boats, scooters. Our long-term production ties with companies in Europe, America, and Asia allow performing your orders in the case if we do not produce it.